We’d love your help. 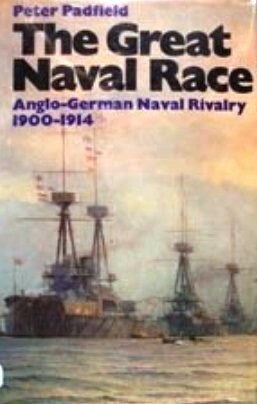 Let us know what’s wrong with this preview of The Great Naval Race by Peter Padfield. To ask other readers questions about The Great Naval Race, please sign up. A favourite on this topic it is concise but brilliantly written, capturing the passion and urgency of these events with a Kiplingesque energy. While clearly lionising Fisher and Edward VII at the expense of Tirpitz and the Kaiser it is hard not to argue that the court of history has dealt the 'villians' of this piece an equally ignoble verdict.